Are you concerned about finances? Wonder why clients are not coming to you? You don’t feel genuine when telling others about what you do? Mindset for Marketing Success specializes in mastering the marketing mindset to grow your business. 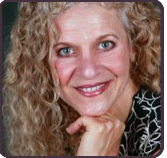 Loren Fogelman, is a success expert and Emotional Freedom Techniques advanced practitioner. Loren helps to transform the head games you play that keep you from putting yourself out there in a big way. The strategy is to get you excited about marketing your business. Loren has worked with thousands of professionals in demanding careers who are really good at what they do but feel uncomfortable having to sell themselves. The goal is to help you get past the discomfort of marketing to grow your business. With laser focus Loren is able to identify core issues quickly and use a results based strategy to reach your peak potential to grow your business. She developed the Mindset for Marketing Success System, a series of 7 important steps to create the mindset for marketing success to grow your business. You deserve to step into your greatness.